Brandon J. Lauria is an attorney representing McEldrew Young clients in employment and family law matters. 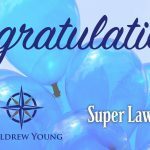 For four consecutive years, his peers have nominated Brandon as a Rising Star in Pennsylvania to the list compiled by Super Lawyers. 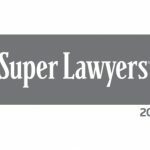 No more than 2.5% of all of the lawyers in the Commonwealth of Pennsylvania receive the designation as a PA Rising Star. 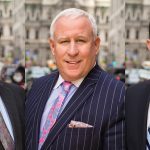 He is an experienced trial attorney who honed his litigation skills at one of Philadelphia’s most distinguished labor firms. Brandon has served as counsel in a wide-array of successful tax fraud, wage and hour, qui tam and whistleblower cases. Brandon is also the head of the firm’s family law division. He has devoted a portion of his practice to representing individuals with their matrimonial legal needs since he became an attorney in 2006. 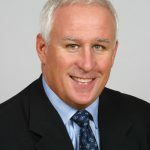 During that time, he has represented hundreds of members of the UFCW Local 1776 with their legal problems throughout Southeastern PA and South Jersey. He is admitted to practice in both the Commonwealth of Pennsylvania and the State of New Jersey. In addition, Brandon is also admitted to federal practice in the United States District Court for the Eastern District of Pennsylvania and the District of Nebraska. He is an active member of the Montgomery County Bar Association, Pennsylvania Bar Association, and the American Bar Association. In addition to his bar affiliations, Brandon is also a member of the American Inns of Court as well as the Order Sons of Italy in America, Lodge #2217. Prior to law school, Brandon worked as a Management Associate at the Federal Reserve Bank of Atlanta in Jacksonville and a Junior Accountant at a finance processing company. Mr. Lauria received a B.S. in Finance in 2001 from Jacksonville University and his J.D. in 2006 from the Widener University School of Law. 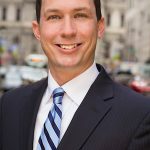 While attending Widener University School of Law in Wilmington, Delaware, Mr. Lauria served as a law clerk at a prestigious civil litigation firm and actively participated in a pro bono legal services clinic for the aid of local indigents.